Laney enjoys combining a variety of methods on the same print. The rough and often difficult use of carborundum grit in various grades, creates such deep tones and textures, it is often the main surface on many of her plates. Observational sketches are developed into etchings, collagraphs, carborundum and relief prints. These recordings of her encounters and experiences capture small glimpses, which move her and stay in the mind. 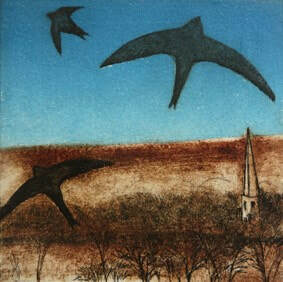 Discreet qualities of light at dawn and dusk and quiet happenings in familiar fields and hedgerows form the inspiration for her atmospheric prints and paintings. 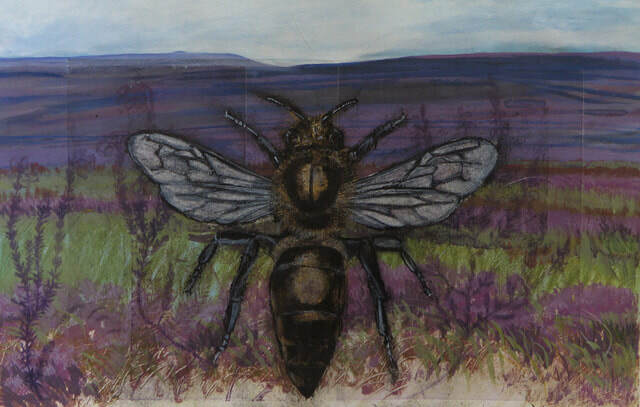 Laney’s current practice is inspired by beekeeping and her passion for helping raise awareness of the plight of our British bees. She runs an ongoing project called ‘Swarm,’ which has involved hundreds of people and a collective of artists over the last four years. 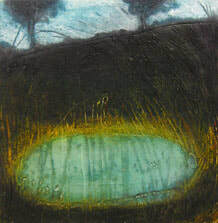 Laney has exhibited regularly as part of North Yorkshire Open Studios, and at art exhibitions, fairs and events. She has exhibited at the Pushing Print Festival in Margate, the Flourish Printmaking Award in Mirfield and the National Original Print exhibition in London. 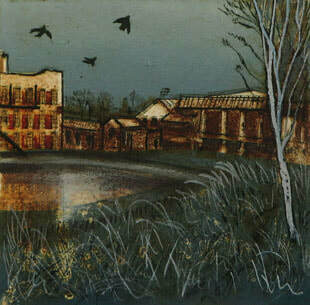 She has also been selected for the Royal Academy Summer Exhibition. In 2014 she was awarded the ‘Harrowells’ Prize for the best original print in the show at the Great North Art Show in Ripon Cathedral. 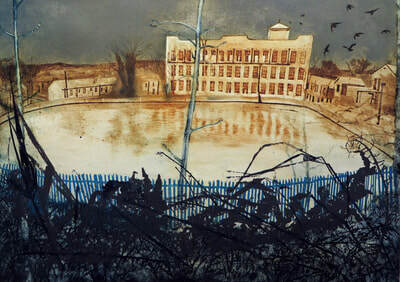 In 2015 she has won 2nd Prize for her print work at the Harrogate Open at the Mercer Gallery. Laney also teaches private students and printmaking workshops from her home studio and other venues.